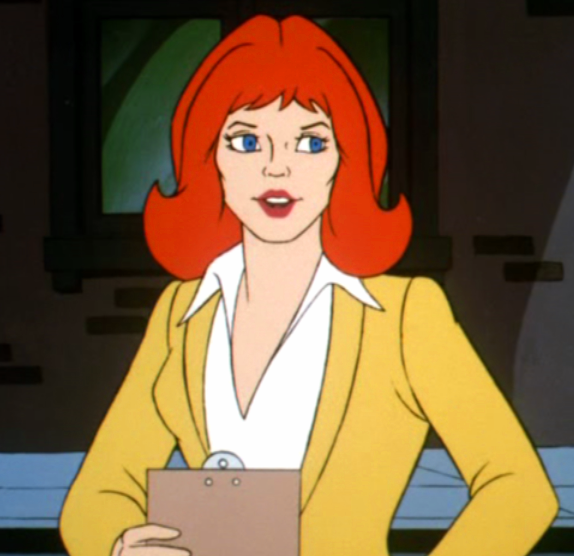 She's Fantastic: Miniature Women of FILMATION'S GHOSTBUSTERS! Miniature Women of FILMATION'S GHOSTBUSTERS! In the 1980s there was a bit of a copyright dispute over the name Ghostbusters. In 1975, there was a live action children's show called The Ghost Busters about a team of "bumbling detectives who would investigate ghostly occurrences." It lasted only 15 episodes and was largely forgettable. When Columbia pictures produced the 1984 box-office hit Ghostbusters, they were unaware of the earlier Filmation property and had to pay 500K in licensing fees to Filmation. During the process, Filmation wanted to gain the rights to produce an animated series based off the new Columbia film. 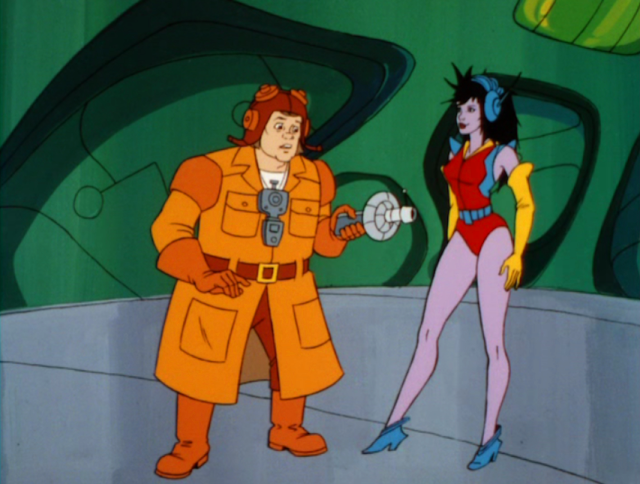 These rights were never granted, and instead Filmation went on to produce an updated animated version of their 1975 show. Whether this was out of spite, or just taking advantage of the name recognition, who knows. 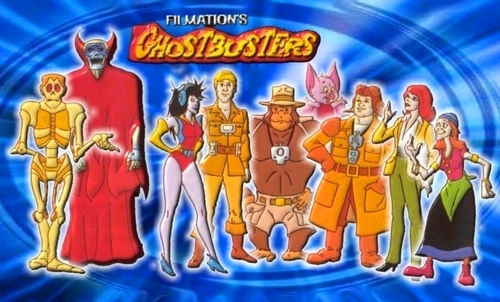 Eventually, an animated version of the Columbia movie was produced by DiC and named The Real Ghostbusters. 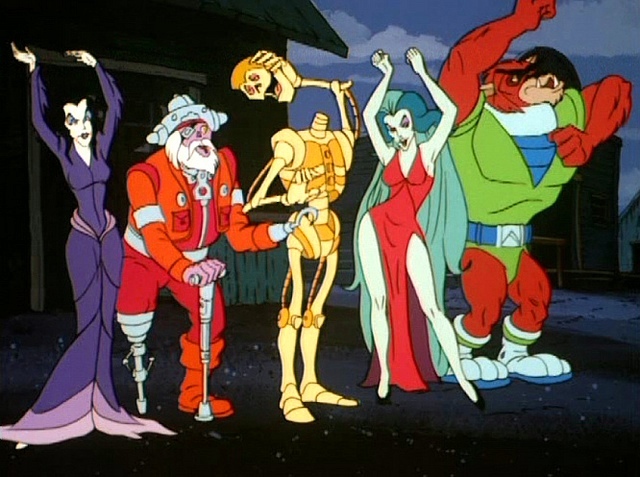 The Filmation Ghostbusters animated series was a quite a success. It kind of had a Scooby-Doo meets the Addams Family vibe. A lot of toys were produced, most popular were the action figures produced by Schaper. Unfortunately for me, all the women of this line had rooted hair (which I steer clear of). But that's why I was excited to find these mini PVCs by Yolanda. They may look a little sloppy and crazy in these blown-up pics, but I'm ecstatic to have these ladies represented in my collection finally. Futura is an alluring, purple-skinned woman from the future, who is a Ghostbuster in her own time. Futura has a flying scooter named Time Hopper and can predict what is going to happen in the present time as well as being telekinetic. She also seems to have a crush on Jake; often complimenting him on how he looks and periodically kissing him much to his delight. In her original design, Futura was an African-American with long, light-brown hair. Voiced by Susan Blu. Jessica Wray is a TV news reporter. She often reports on the events the Ghostbusters will go investigate and sometimes accompanies them. Jake seems to have a crush on her and she for him. Originally had blonde hair in her initial design. 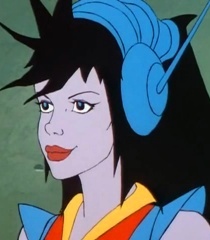 Voiced by Susan Blu. She looks a little like Sloth from The Goonies with that crazy paintjob. Mysteria resembles Morticia from The Addams Family, wearing a long black hairstyle. She has power over mist and is known for calling people "darling". She is also known for her extreme vanity. Originally had a human appearance and a long red dress. Voiced by Linda Gary. I posted a review of the full-sized Mysteria figure from Schaper last Halloween. Unfortunately I couldn't find her anywhere to do a comparison pic. Knowing my luck I'll find her tomorrow. Here are some images from the cartoon and promotional materials.